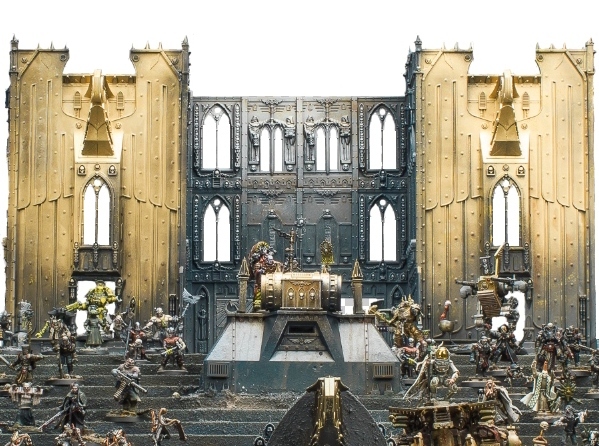 In what can only be described as the perfect culmination for all our Pilgrym efforts, Warhammer World in Nottingham have graciously decided to showcase all the models that took part in the game (including Lazaros and his cronies), along with the amazing board Migs built for the occasion. Excellent! What an exhibition it will be! Holy-Moly! That's an impressive accolade to add to your resume! Well deserved I think though. Bravo mate, bravo indeed. Well done, such beautiful work deseveres to be showcased. I just saw the exhibit, amazing! Was so neat seeing all of the different warbands!